Cheerleader Garters for 2019 - 2020 by Custom Accessories Garters. 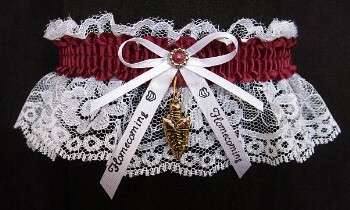 Spirit Garters in School Colors. Lace ~ White or Black 1/4"